ezGuard stands ready 24/7 watching over the important areas of your home. Provide a dependable first line of defense, ready to detect any activity within view. Once motion is detected, recording is automatically started and notification is sent directly to your mobile device. From the EZVIZ App (Mobile) or EZVIZ Studio (PC), you can choose to view the video activity. With Two Way Audio and a Remote Activated Alarm System, you will also have the tools available to interact with what’s on the other side. Activate a loud siren and strobe light to scare off intruders or use the Two Way Audio to let them know exactly what’s on your mind. ezGuard brings you the best in today’s video surveillance technology for an All-In-One Security System packed into a stylish contemporary design. View live video and control your security system 24/7 from a smartphone or tablet with the EZVIZ app. You can also share links with friends and family so they can view your video, too. 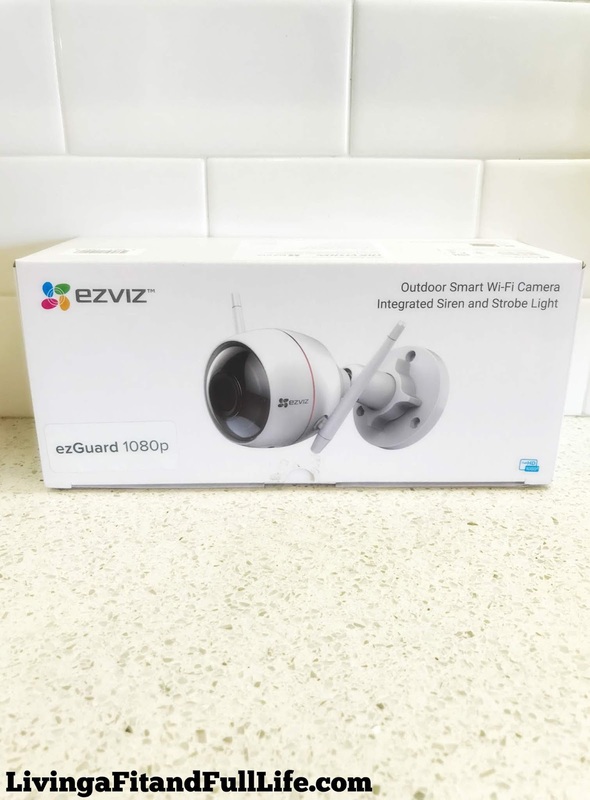 Monitor your home's security with EZVIZ's ezGuard 1080p Full HD Indoor/Outdoor Wi-Fi Camera! 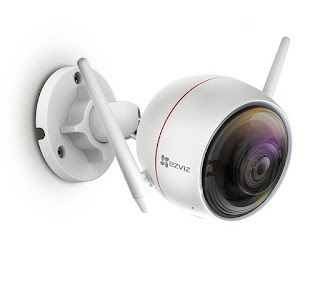 EZVIZ's ezGuard 1080p Full HD Indoor/Outdoor Wi-Fi Camera is pretty impressive. Not only was this camera extremely easy to set up but I love how well the app works. The picture looks amazing on this camera during the day and at night. I also love that this camera doesn't take batteries! I'm kinda the worst at replacing batteries so it's nice to have an always recording camera to keep an eye on things around the house. I also love the two-way talk feature! I was considering getting a doorbell camera that does this but honestly this is much better as I'm not tied down as to where the camera has to be installed. I can still talk to whomever is at my door since I've placed the camera near my door and I have to say the sound is pretty clear and easy to hear. Another fantastic feature is the loud siren and strobe light that helps to scare off intruders. This is a terrific first line of defense that absolutely everyone should have. Once intruders hear this alarm they will surely flee. EZVIZ's App is also pretty impressive! I get instant notifications anytime the camera picks up movement and I love that I can set the sensitivity so that it's not always going off. The app allows me to have a live view or the ability to go back and view the latest activity. I also really like that I can add my other EZVIZ cameras to the app for an all in one access point for complete home security! 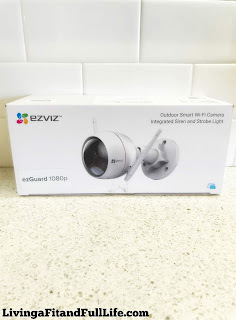 EZVIZ's ezGuard 1080p Full HD Indoor/Outdoor Wi-Fi Camera is a terrific security camera that I highly recommend!